Currently serving as Associate Winemaker and Marketing Manager, Goodwin has a wealth of business and winemaking experience. She holds a Bachelor of Commerce and Graduate Diploma from the University of Otago and has ten years’ experience working as a Chartered Accountant and Management Consultant both in New Zealand and overseas. 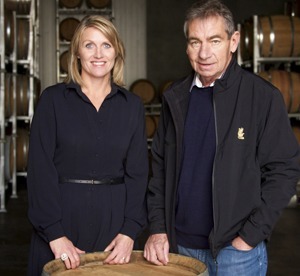 In 2004 Goodwin completed a Postgraduate Diploma of Oenology and Viticulture at Lincoln University. During her ten years at Palliser, Goodwin has been largely involved in a Winemaking role but has worked across all aspects of the business including environmental system management, sales & marketing and finance. Goodwin’s appointment came after an executive search process and the newly appointed CEO says she is well aware she has big shoes to fill.